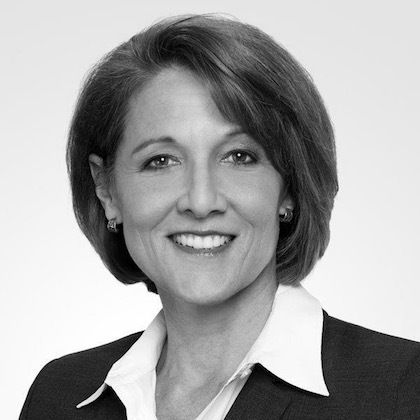 Kathy is Managing Partner of Goodstone Group and is responsible for client and network development globally. In addition, she coaches senior executives and high potential leaders wanting to take their leadership effectiveness to the next level. Kathy coaches senior executives and high potential leaders wanting to take their leadership effectiveness to the next level. Her clients are those with a desire to develop and a will to take some risks in learning to change. As Kathy believes that leadership expectations have to be defined in the context of a leader’s business, organization, culture, and current/desired role, she begins her coaching work by understanding each of those dimensions. She has extensive experience working with individual leaders, with business functions, and with entire organizations to understand business-based leadership expectations, to communicate them constructively, and to then help leaders to meet them. With more than 16 years in a leading global management consulting firm with an up-or-out performance culture, Kathy is deeply skilled at supporting very smart, driven, and successful leaders who receive feedback about expectations for moving up or gaining broader support at the most senior levels. A particular strength is in discovering behaviors underlying the often vague terms used to describe unmet expectations like “doesn’t fill the room,” “doesn’t convey strategic thinking,” “struggles to develop average performers,” “acts like a second in command,” and “isn’t visible enough.” Following translation, Kathy supports her clients in taking the risks needed to experiment with new behaviors and in staying disciplined to the point of competence. Kathy’s clients include senior and rising leaders in asset management, consumer goods, executive search, legal services, private equity, retail, technology, telecommunications, and transportation. Her work also includes design and implementation of targeted initiatives to develop, retain, and advance female leaders across a wide range of industries. Kathy’s pro-bono clients are working to address hunger, development of at-risk youth, and improved models for electing leaders in the federal government. Certified in a range of contemporary assessment and typing tools including MBTI, Hogan, Conflict Dynamics Profile, EQinAction, CCL and Lominger instruments.